At last! I’ve finally succumbed to image overload, and will start sharing with you all these wonderful snaps I take during my photography & filming adventures, here in the medieval villages of Tuscany. 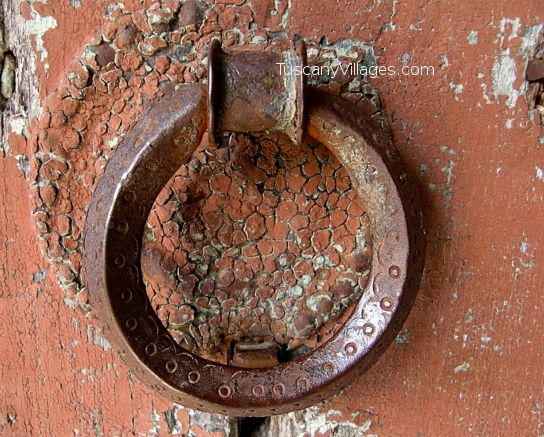 These will be posted each week under the category – ‘Enchanting Village Images of the Week’. 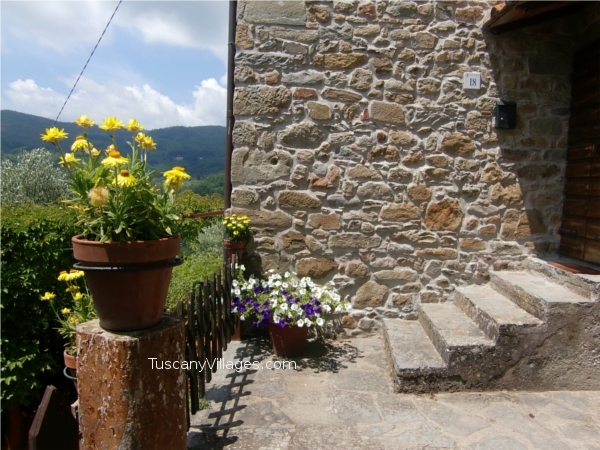 If you cant make it out to the Tuscan hills, then let me bring them to you! With vino in hand, the occupants relax on their porch in the presence of the valley breeze as the village of Aramo sits peacefully in the background. Loving these weather-beaten, curved terracotta posts, something of a rarity these days. This is one of a few holding together the railings leading up to a charming set of houses. That charming set of houses. 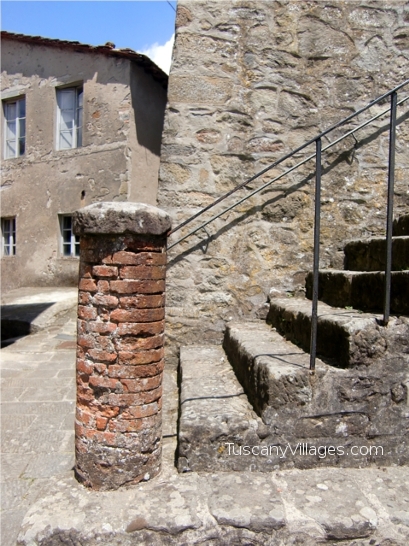 Toilets on balcony’s can still be seen throughout the Tuscan villages. Some in use, some not, and others simply belong to houses in dire need of restoration. 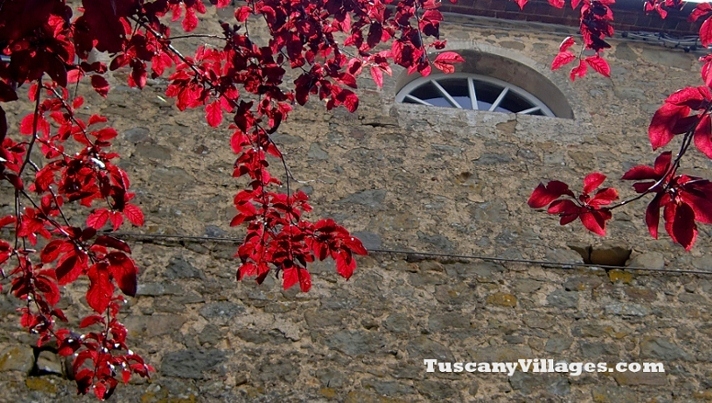 The leaves turn a vibrant red under the beautiful Tuscan sun, a great compliment to the 15th century church behind. I do hope you loved these snaps as much as I do in taking them. 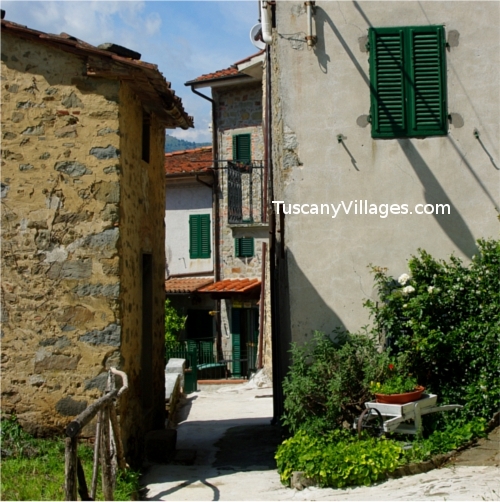 If these posts leave you feeling inspired, and wanting to pack your bags and head for the Tuscan hills, then please feel free to leave a comment below, I would love to hear from you. Otherwise I’ll just see you when you get here;-). 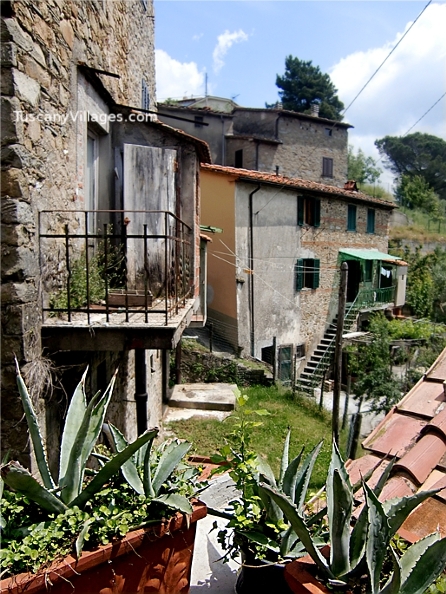 To ensure you receive next week’s issue of enchanting images, please subscribe to the TuscanyVillages newsletter and RSS feed. Also, if you would like a generous dose of images to appear through your Facebook news-feeds to get you through the week, you can do so by liking our Facebook page.